At some point, all community-based financial institutions will rely on third-party vendor technology. From core systems through loan origination and specialty software solutions, there is a growing reliance on vendors. This is one reason why regulators in recent years have been so focused on vendor management. While much of this software is crucial to the basic operation of a financial institution, supplementary offerings also focus on new products and on efficiencies for existing lending solutions. Said another way, these systems are designed to either introduce a new lending vertical, or enhance the way a service is offered. They bring the potential for increased revenue and reduced operating costs. The challenge for financial institutions when evaluating these supplemental services is determining whether they will be worth the investment. There are four questions to ask as you perform due diligence for such opportunities. In fact, you should answer these questions before beginning financial analysis and vendor vetting. 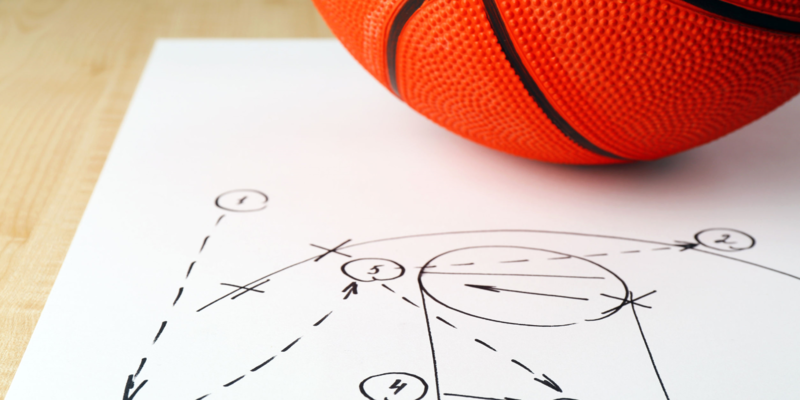 In the spirit of March Madness, here are strategies for winning on the basketball court, translated into winning strategies for the fintech arena. The solution has good man-to-man coverage. Does the solution fit your financial institution’s personality? In other words, does it match your credit risk appetite and is it in line with your credit policies? Does it match up well with the talents of your current employees, or will it require new expertise? If a solution is not a good fit for your organization, then it will be a waste of time for both you and your vendor. While you shouldn’t be afraid to look outside the box from time to time, you will need to determine how far outside that box you are willing to go. Change is necessary and there will be times when you need to broaden your service offering to remain competitive. That is perhaps the toughest call to make, since it represents the intersection of your current path with long term strategy. The solution helps you avoid turnover. Does the solution improve the efficiency and experience of your staff? Effective technology should enhance the experience of your employees. To the extent that a vendor solution can save time and increase operating efficiency, it can reduce expenses, increase sales, or both. To understand this question, you really need to understand your current employees and their operational workflow. If you do not have your finger on the pulse of your team, it will be impossible to make this evaluation. Be sure to engage your team in the decision and seek its input. The solution has full-court vision. Does the solution enhance your clients’ journey through the process, whether they are coming to you for depository and investment services or loans? It helps to really focus on what the client will see of the systems you may be deploying. What do the user interfaces look like? Put yourself in the shoes of the end user. Consider how users want to interact with your institution. These questions are driving the current wave of mobile and on-line services for community-based institutions. If you are not thinking about your client’s experience on a daily basis, you are falling behind. The solution helps you leverage your A-players. Does it enhance asset quality? There is no long-term profitability without asset quality. If a new lending product does not enhance or ensure asset quality, then no amount of revenue can justify it. This question deals mostly with lending solutions. It also ties in with question number one regarding cultural fit. There are many new and exciting loan operating and management systems in the market. Examine their value in helping you track risk trends and changing market conditions. Consider whether they provide an efficient path to new data, and also arm your credit staff with more resources. If a solution matches up well when you ask these questions, chances are that it could be a great fit for you, your team and your clients. Here is one final but critical point. Make sure you are working with vendors who are willing to have these discussions with you. If they are simply looking for the next sale, and not invested in your success, they are not the right fit. In other words, your vendors should be doing everything they can to get you to the big game and ensure your success long after March Madness has come and gone.